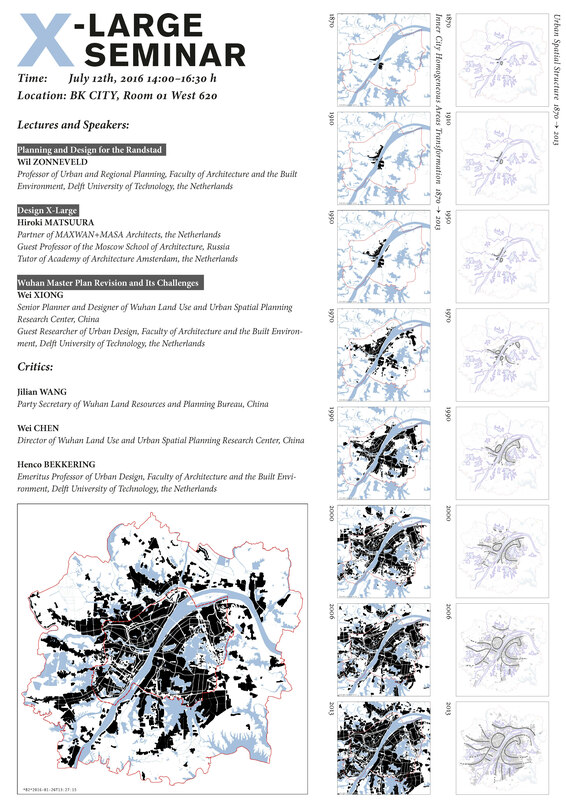 The Department of Urbanism at TU Delft will host a delegation from Wuhan Land Resources and Planning Bureau including the Party Secretary of the municipal Planning Bureau and our client for the research pilot project Mapping Wuhan, Director CHEN Wei of WLSP on July 12th. We are proud to announce the seminar we organise as part of a series of events. Please have a close look at the poster below. We cordially invite you to participate. Next to listening to the lectures given by Professor Will Zonneveld and influential practitioner Hiroki Matsuura, we think this is a unique chance to hear about and discuss a Master Plan for a major Chinese city with the directly involved planners as well. This entry was posted in Events and tagged China, mapping by Birgit Hausleitner. Bookmark the permalink.